The first thing that struck me about CallCentric’s web page was the claim of how low their prices were. Having reviewed some business and residential VoIP providers, and being a VoIP subscriber myself, I had to look at the fine print. The first thing that struck me was that there were two different tabs for making and receiving calls. “A-ha!” I thought, “that’s where they get ya!” As I perused the web site, I did see low prices, the word “free” thrown about liberally, and the unexpected “allows placing” or “allows receiving” calls banner. But, I came around to seeing their business model. After seeing a number of “all you can eat” business models, CallCentric follows the “A la carte” model, where you pay for what you use. CallCentric does follow a model very similar to a cell phone carrier. 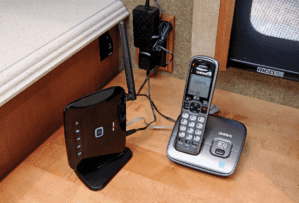 Their least expensive plan is the “IP Freedom” plan, which lets you place free calls not only to other CallCentric subscribers, but to certain other VoIP providers. For nothing. A whole lot of nothing. Other than the few dollars to pay for E911, that’s one very cheap plan. 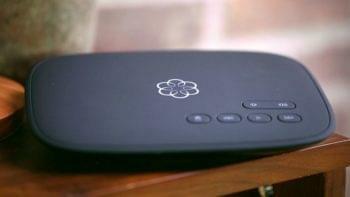 I can definitely see a family or group of friends signing up together for a way to stay in touch at any time. Realistically, of course, most people are going to want more than just the bare minimum. CallCentric has strata of inexpensive plans, with pay per minute ($0.015 per minute), 500 and 1000 minute plans with low setup costs. You can really tailor your plan to suit your needs, depending on whether you make or receive more calls, or want to make international calls. 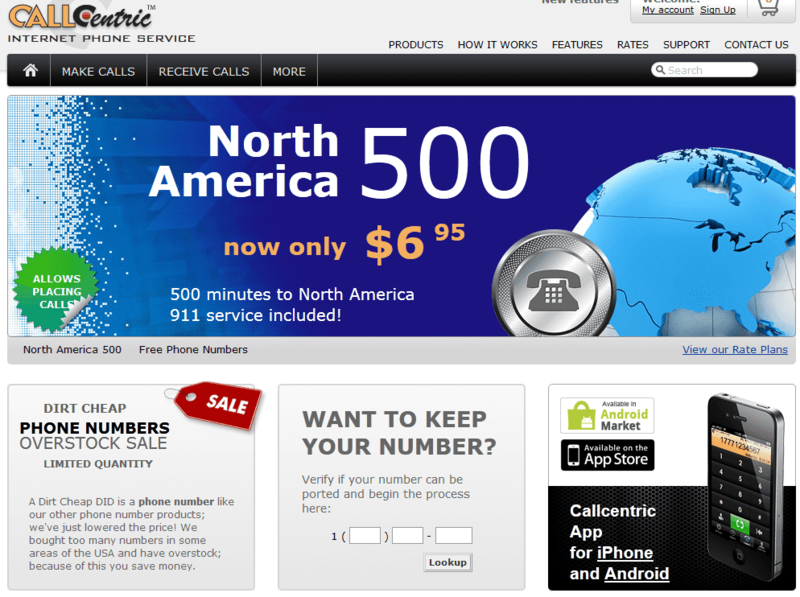 CallCentric has both free and “dirt cheap” phone numbers, and number porting is not free. You can also have a toll-free number option. 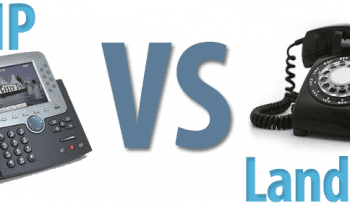 CallCentric is a clear winner when it comes to international calls. CallCentric has a page comparing their own international rates to other top VoIP providers, including Vonage and ViaTalk. Different countries and different carriers have different rates, and CallCentric has the cheapest calls in nearly every category. The few that weren’t made the list feel more credible to me. One thing I liked about the website itself was the panel on the left side of screen explaining what each feature was, and how it worked. They did have a number of features I wouldn’t have expected from such an inexpensive provider, like free directory assistance, a free android or iOS app (sorry, Blackberry! ), and call treatment. As anyone who has read my reviews might suspect, the per-call rules are one of my favorite features of business VoIP, and I’m always excited to see it in a residential setting. CallCentric is not a “set it and forget it” kind of provider. You have to look at your current phone bill and make an honest assessment of how many minutes you’ll be on your home phone each month. If you’re willing to make that investment of time, you’ll definitely save a lot of money in the long run. The low set up costs and long feature set will put your mind at ease over any anxiety about not using up all of your allotted minutes every month. For the casual phone user who wants to save big bucks, CallCentric residential plans sound like a great deal. If you’re already a CallCentric customer, we would love to hear your feedback and experience with your CallCentric VoIP Services. Please share your CallCentric experience with others here.